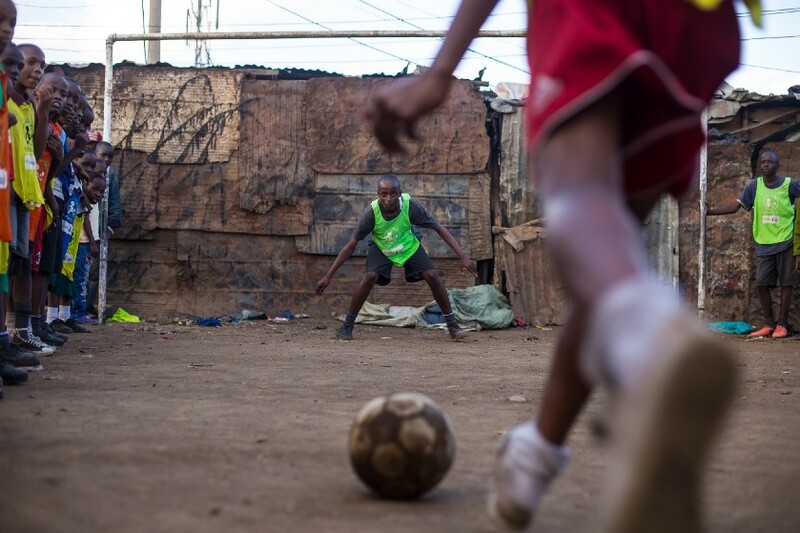 Argentinian photographer Sebastian Gil Miranda captures the story of Austin and his work alongside Fútbol Más to improve the lives of hundreds of youth in Mathare, Kenya. 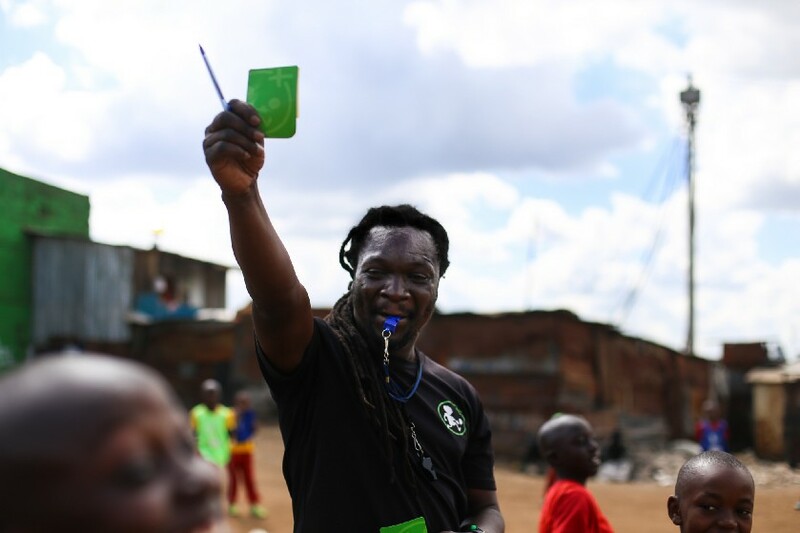 Austin Ajowi, 42 years old, is a Kenyan football coach, living in Mathare, one of the biggest slums in Nairobi. When his football career came to an early and abrupt end after a knee injury, he focused his energy on a new project: clearing the mountains of rubbish lining Juja Road in his local community. Every night people from neighbouring communities would come and drop their rubbish and Austin would have to start cleaning all over again. But he didn’t give up and slowly, inch by inch, meter by meter he cleared the way for a community playing field. After a while, people started helping him to keep the field clean and make it bigger; a sign was erected saying “Do not litter here” and many nights Austin stayed at the field to make sure no more rubbish was dropped. So it came that the dump site slowly but surely became the community field that it is now known as Austin Grounds. Austin became known as coach with a strong focus on developing female football players who would go on to become Kenyan champions. He also began to work with more children, the disabled, alcoholics, homeless; anyone who needs help in his neighbourhood. Austin’s engagement has been so great and powerful that he was baptized by the inhabitants of his community as “Baba Yao”, which means “The father of all”. 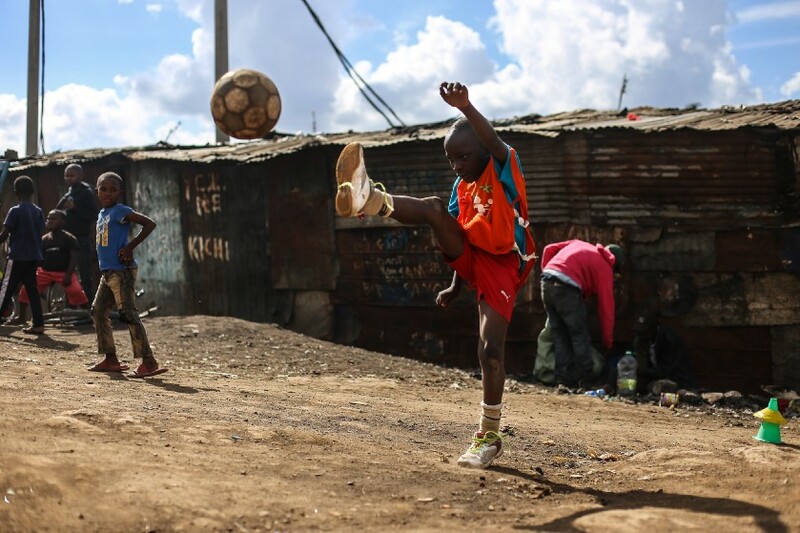 In 2016, Austin meets Fútbol Más, a Chilean football for good organisation operating in seven countries and starting a 2-year pilot project in Nairobi’s informal settlements of Mathare and Kibera. “When Fútbol Más came, it gave me another meaning to football. Teaching life skills and strengthening resilience in the community, gave me a chance to nurture my players completely, impacting life skills in them, teaching them on various social issues that are present in our community,” Austin says. Together, Fútbol Más and Austin implement the Green Card Philosophy. As opposed to yellow and red cards that sanction negative behaviour, Fútbol Más uses Green Cards that recognise and reward positive behaviour. 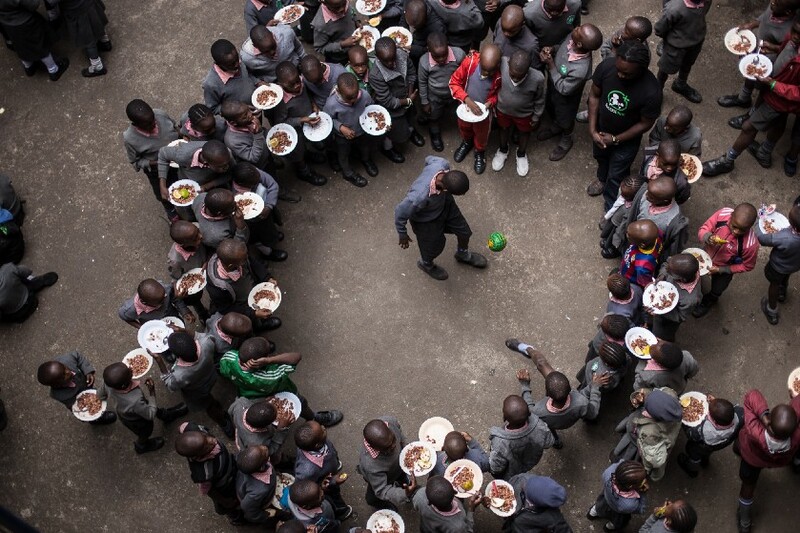 Austin is the co-founder of two community-based schools in Mathare: Valley View Academy and Destiny Junior Education Centre, with 700 and 300 students respectively. 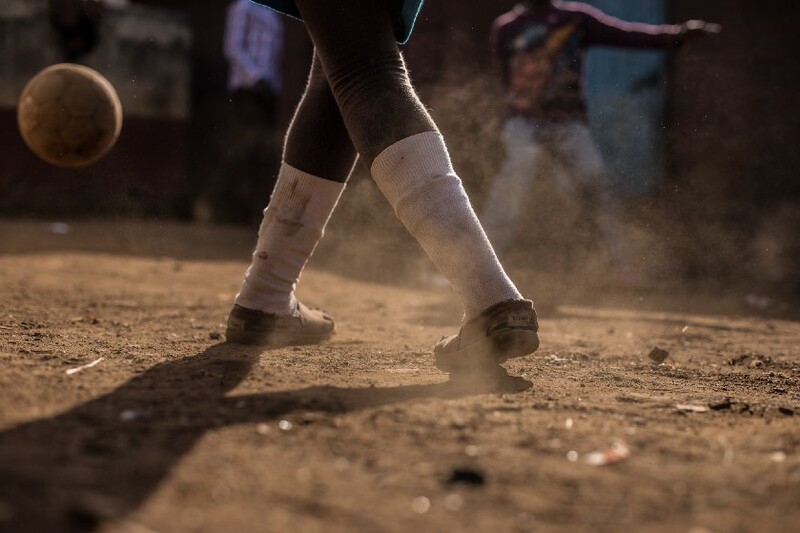 Fútbol Más works integrally, involving these schools in their programmes, promoting the well-being of girls and boys and young people, strengthening resilience processes and community cohesion through play, education and sports. 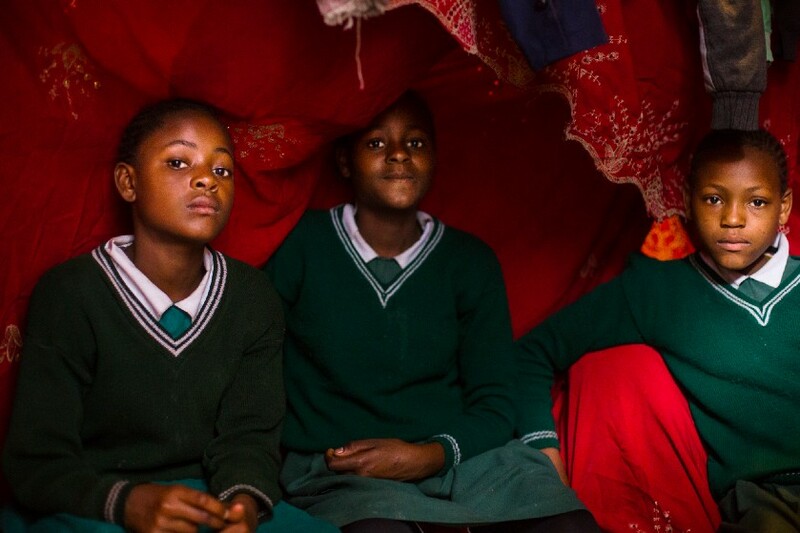 Sara (12), Alice (14) and Mwikali (16), are three sisters from Mathare. Their mother didn’t have the money to send all of her six sons and daughters to school. The girls got involved with Fútbol Más by playing for Austin’s community team called True Colours. Thanks to Austin and Fútbol Más, they have been able to return to school. 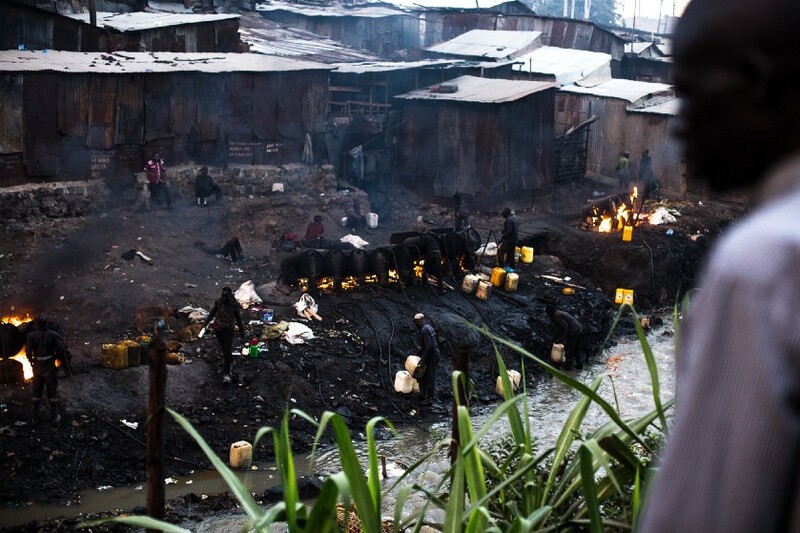 Mathare faces a number of challenges: precarious housing, sanitation and high levels of poverty. In a community where over half the population is below the age of 18, the high level of violence, normalised and accepted, strongly affects the normal development and education of the children and youth. The community is strongly affected by the brew called Chang’aa, which is infused with chemicals to make it stronger. It is very popular in Kenyan slums and is produced on the banks of the river in metal barrels. Many community members become addicted to it, and as a result, their families do too; an addiction that often has fatal consequences. In September 2018 Fútbol Más was awarded 2 important prizes, the prestigious Beyond Sport Award in New York in the category ‘Sustainable Development Goal 11: Safer and Sustainable Communities’ and the ‘Best Corporate Social Responsibility Initiative’ at the World Football Summit in Madrid. Fútbol Más was born in Latin America and is currently operating in seven countries inclduing Chile, Ecaudor, Haiti, Kenya, Mexico, Paraguay and Peru. Fútbol Más offers a safe learning space for 650 children. The investment needed per child per month is approximately 10 USD, which covers everything needed to run the programme year round, Monday to Saturday. The pilot project is about to finish in a few months. 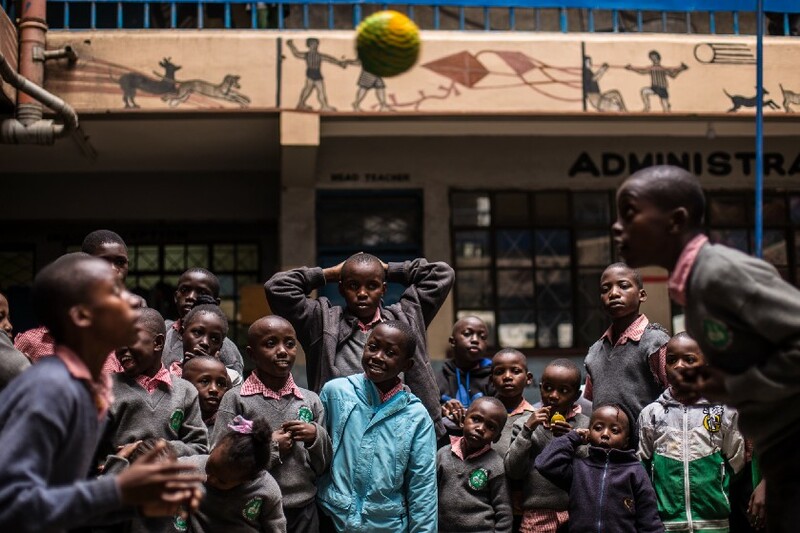 In order to continue and scale the project in Kenya, Fútbol Más is in the process of engaging in new partnerships.